Truth: Freedom is for friends and friends are everything. Make the trip. Clean up your Facebook newsfeed with these easy steps. There’s an art to networking. How to grow a person by David Brooks. Great advice on the writing life from Jen Gish. Always fascinated by strong women who get things done. Deeda Blair is a force. How refreshing or renovating your restaurant can affect your bottom line. Especially timely given some of our current/future projects. 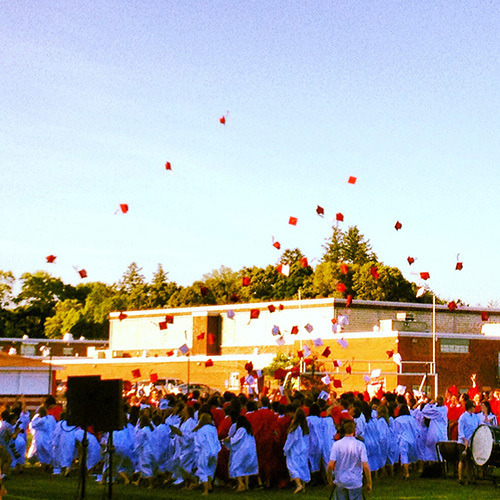 This week was filled with end-of-year activities, prom, and graduation. The Chicago Sun-Times fired its photographers. As a journalist and a friend to a number of photojournalists, this makes me sad and makes me shudder. The best photojournalists I know have a gift for capturing humanity. That trained perspective will surely be lost when an accompanying photo is an iPhone afterthought. Speaking of photography … as someone whose event photos have been compromised by multiple “photographers,” I found this to be dead on and kind of sad. Let’s all try to be more courteous and let event photographers do their job. And to take it a step further, sometimes it’s more fun to just live the experience and put the phone away. Texas Monthly barbecue critic Daniel Vaughn talks brisket grade and pricing. The Glass Castle was a fascinating memoir and this profile of Jeanette Walls is equally interesting and disturbing. I follow Rachel Sklar on twitter. She seems smart and savvy and this profile confirms it. The headline is incorrect, though… she’s not trying, she pretty much IS a social media entrepreneur. The media landscape has changed for all of us in the restaurant biz and nowhere more so than New York City. The feverish quest for online coverage is exhausting. The Worst End of School Year Mom Ever confessional took the internet world by storm and had mothers and teachers alike howling with laughter and nodding in agreement. My daddy taught me long ago that “first-class people associate with first-class people.” “I don’t shine if you don’t shine” and “People know you by the company you keep,” are two gems from this article: Why powerful women make the best friends. Frank Bruni on why siblings are a gift. So good.